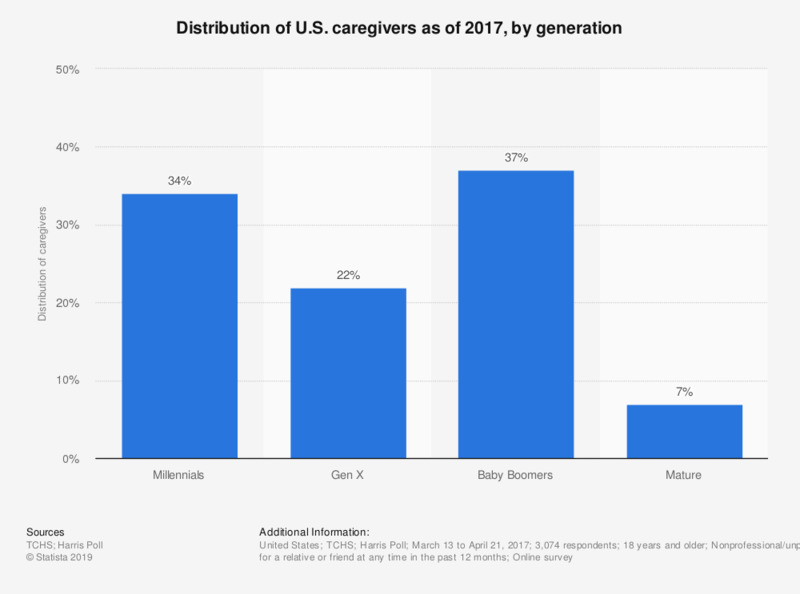 This statistic displays the percentage of U.S. caregivers that were categorized as being included in select generational groups as of 2017. According to the survey, 34 percent of caregivers were Millennials as of 2017. Everything On "Millennials and health in the U.S. " in One Document: Edited and Divided into Handy Chapters. Including Detailed References.